One of the sources of innovation in theatre and performance has been and still is the encounter and exchange between cultures. Such exchanges took place long before the beginning of globalization. If we go back far enough in history, we find that exchanges between the theatrical forms of neighbouring and later also of distant cultures occurred wherever we have some evidence of theatre. Theatre’s interaction with elements from other cultures has been a perpetual instrument and vehicle for change and renewal. The elegant courtly dance bugaku and the masked dance theatre gigaku, for example, were developed in Japan during the Nara period (640–794 AD) based on Chinese and Korean dance and music theatre. Actors from those regions were invited to the Nara court to teach young Japanese performers their art, while Japanese performers travelled to the courts of Silla and Tang to learn from the Korean and Chinese masters. The history of European theatre is replete with similar examples. In France, Molière created a new form of comic theatre by combining the French tradition of farce with elements from commedia dell’arte. In the German-speaking territories, professional theatre developed out of the performances of wandering English comedians as well as of Italian commedia troupes and opera societies that travelled through these parts from the end of the sixteenth century onwards. In the above examples, exchanges were limited to neighbouring cultures that shared a number of features, even though there were also some exceptions to this, such as the introduction of school dramas by the Jesuits during their short period of missionary work in Japan. These dramas left their traces in Okuni’s kabuki theatre (founded between 1600 and 1610). 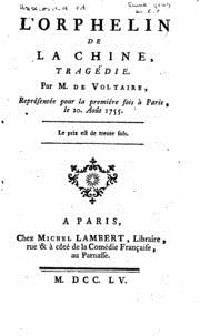 Another example is Voltaire’s tragedy L’Orphelin de la Chine, which premiered at the Comédie Française in 1755 and was a reworking of the Chinese opera Zhaoshi gu’er (The Orphan of the House of Zhao) by Ji Junxiang from the time of the Yuan dynasty (1280–1367). In these cases, theatrical elements from a barely known culture were decontextualized, appropriated, and adapted to fit new goals. Increasing modernization at the beginning of the twentieth century added new dimensions, relevance, and meaning to such transfers of theatre from one culture to another. Reports by European travellers about a variety of theatre forms, above all from Asia, had become increasingly precise since the mid-nineteenth century. At the beginning of the twentieth century, theatre troupes from Japan and China travelled to Europe and the United States for the first time. During their often extensive tours, they presented their productions to a public that was used to completely different theatre conventions. Theatre practitioners in Europe, including Max Reinhardt, Edward Gordon Craig, Vsevolod Meyerhold, Alexander Tairov, Bertolt Brecht, and Antonin Artaud, were inspired by these performances and appropriated some of their elements and techniques for their own productions. In doing so, they created entirely new forms of theatre for European audiences. The transfer did go both ways: Japanese theatre artists, for example, travelled to Europe and worked with directors such as Stanislavsky, Reinhardt, and Meyerhold. After returning home, they adapted European psychological realism in order to create a new form: spoken theatre or shingeki (new drama). It was received enthusiastically by Chinese students in Tokyo, who went on to create huaju, a Chinese form of spoken theatre, in Shanghai shortly thereafter. At the turn to the twentieth century a development began that went far beyond the forms of exchange with foreign cultures practiced throughout the previous century. New technologies of transportation made it easier for entire troupes to embark on international tours. Audiences could now experience the bodily presence of unfamiliar cultures much more frequently. New performances grew out of these confrontations and interactions between artists and audiences. In colonized countries the situation was different. The colonial rulers imposed Western theatre as a model to be adopted and followed by the colonized people. However, these models were also often creatively received and transformed in this context. From 1821 onwards, Indian spectators also attended the English theatre in Bombay. The foreign melodramas, so popular among British spectators, were well received by the Indian public. When a so-called modern Indian theatre was first established in the second half of the nineteenth century, it drew heavily on this kind of theatre. Known as Parsi theatre (because it was founded and run by members of the Parsi community), these companies toured towns mostly in northern India and gave regular performance until 1940.Their productions combined elements from English theatre with those from different Indian traditions: the proscenium arch and painted backdrop derived from the first, as did the fantastical scenic effects, the storm and battle scenes, the explosions as well as all the necessary stage machineries, sumptuous costumes and makeup, the front curtain and the tableaux, and the choral singing at the beginning and close of the plays. The dance sections, by contrast, had their origins in Indian traditions, and classical Indian music served as the basis for the songs, which were mostly directly lifted from various regional theatre traditions. Similarly, the sources for their themes often derived directly from folk theatre, especially Hindu legends and mythology. In Africa, alongside the imposed European model, new forms of theatre also developed that adapted elements from different cultures. In the 1920s, the so-called concert party was established in many towns. This genre of music theatre was rooted in revue style minstrel shows from North America, English music halls, and Hollywood films in a free dramaturgy close to traditional African theatre, in which music, dance, song, dialogue (including addressing the spectators directly), and slapstick numbers alternated within a single performance. The concert party mainly dealt with themes of contemporary urban life and the problems surrounding it. The critical flexibility and openness of this theatre form made it a valuable and important instrument of the anti-colonial movement. In Nigeria, besides the concert parties, which were aimed at town audiences, the Yoruba travelling theatre also became enormously influential, as it mainly toured rural areas. This theatre was created out of the cantata and choral works of the Christian church during the 1930s and 40s and also refers back to the Alarinjo travelling theatre tradition that can be traced back to sixteenth century Yoruba culture. 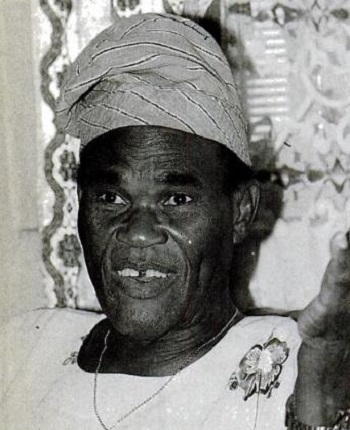 The first noteworthy troupe was founded by Hubert Ogunde in 1946 and the second by Kole Ogunmola, an outstanding director, author, and theatre artist from West Africa, in 1948. The travelling theatre used the language of the Yoruba people, set the action to traditional music, and used traditional dance forms. An acting style incorporating the movement vocabulary of traditional arts and ceremonies as well as forms of native comic theatre was developed. The plots were created out of the legends, stories, and mythologies of the Yoruba people. This travelling theatre played a key role in strengthening and affirming the cultural identity of the Yoruba. Since the late 1960s and especially in the 1970s and 80s there has been a new wave of theatre aesthetics resulting from such processes of encounter and exchange. Among them are, most prominently, productions by Jerzy Grotowski, Richard Schechner, Eugenio Barba, Peter Brook, Ariane Mnouchkine, Suzuki Tadashi, Ninagawa Yukio, and Huang Zuolin. A new term was coined for these forms of theatre: intercultural theatre. 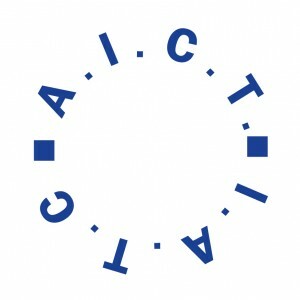 Although a number of new forms of theatre were created in numerous societies across the globe in the first decades of the twentieth century, no one saw the need to call any of these forms of theatre ‘intercultural.’ Thus the question arises as to what was so new and different about the productions of the 1970s and, mainly, the 1980s that they required a new nomenclature. [W]e should attempt to examine certain elements from the foreign performance arts in terms of how useful they are to us. This attempt will be carried out within the very specific situation of our theatre, in cases where our own theatre is not able to accomplish its tasks (tasks of a new kind). These are the tasks demanded of the performance art by the epic dramatic structure. Now the above-mentioned foreign technique has long since been in the position to accomplish similar tasks – similar, but not the same ones. The technique must be separated from those highly essential prerequisites, transported and subjugated to other conditions. In order to undertake such an analysis, one must take the viewpoint that there is a kind of technical standard in art, something that is not individual, not already developed, but something one can build on, something transportable. While such a transformation of elements from another theatre tradition, when initiated by a European director, was judged to be a sign of his genius and creativity, the transfer of realistic-psychological theatre from Europe to Japan or China was regarded as mere imitation and, in this sense, as the Westernization of Japanese or Chinese theatre. However, the appropriation in both cases constituted a response to the failure of their own theatre with regard to problems resulting from processes of modernization, different in each instance. With regard to theatre in the colonies, the ‘superior’ model of European theatre was to be followed, even if it was transformed in the process. The early postcolonial decades of the 1970s and 1980s no longer allowed such a claim to superiority, rendering the introduction of the term ‘intercultural theatre’ particularly meaningful. On the one hand, it suggested the idea that, be it in Europe, the USA, Latin America, Africa, or Asia, all cultures and artists would meet on equal ground through forms of theatre that combined elements from different traditions. 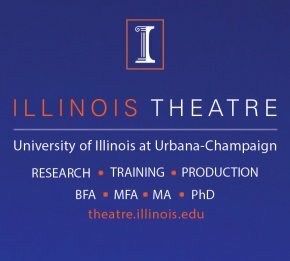 However, if we examine the use of the term ‘intercultural theatre’ in Western writing more closely, we make a striking discovery: The term always indicates the fusion of a Western with a non-Western form – not, say, of African and Latin American traditions or of different Asian cultures. This strongly implies that ‘intercultural’ here refers to a notion of equality that almost always requires the West to be involved. Is it, then, a more or less friendly warning that theatre artists who do not incorporate elements from Western theatre will be excluded from tours to the West and the great festival circuits, which started at around the same time? Did the term serve as a veiled instrument to maintain power and superiority over non-Western cultures? To give an example: The production Lear (1997) by the Singaporean director Ong Keng Sen dealt with inter-Asian relationships. Yet Ong chose to adapt the text of King Lear. In light of the above questions this does not come as a major surprise. Using a well-known Western text for his production secured Western interest and attention, bringing with it guest tours to Western theatre centres. The term ”intercultural theatre” is problematic not just for this reason. However, this is not the right place to deal with these problems in greater detail, which I have done in some of my other writings. Suffice it to say that because of this background I mostly avoid the term and prefer to use the phrase interweaving performance cultures. Processes of interweaving performance cultures serve as motors for innovation. They bring forth new forms that prove to be aesthetically and very often also politically challenging. 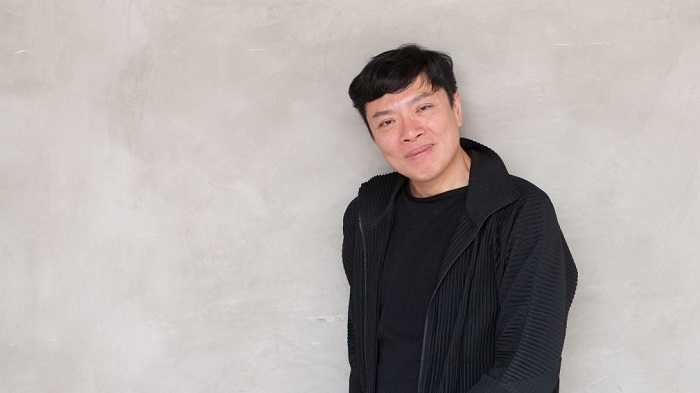 However, as the example of Ong Keng Sen’s Lear indicates, productions emerging out of such processes were often conceived to be presented to global audiences at international festivals. In itself, of course, there is nothing wrong with that. If we proceed from a notion of festival that aims at creating communities out of all participants, it follows that such performances could ideally bring about communities of performers and spectators from different cultures. Of course, this would only be an aesthetic or theatrical community, lasting at best for the entire duration of the performance, and never beyond its conclusion. This would nonetheless be a positive effect, bringing people from different cultures closer to each other. Such performances would not only be aesthetically innovative but moreover reveal and demonstrate certain commonalities between members of different cultures. Yet this positive effect should not seduce us to overlook other, less commendable results. One of them is a kind of commodification that frequently goes hand in hand with the presentation of so-called intercultural performances at festivals. When China, for example, acquired membership of the WTO in 2001 after fourteen years of negotiations with the USA and the European Union, this triggered a discussion about the role and purpose of intercultural performances in this context. A conference was devoted to this problem. In his introduction to it the Chair remarked that “connecting the two theatre traditions in the new century is of utmost importance, especially because there has been a plea to bring Chinese culture into the world ever since China joined the World Trade Organization”. In view of China’s opening up towards the global market and the intensification of multilateral trading processes as well as of cultural exchange, the new task will be to find out how theatre art as a kind of “global” language can be further developed for the purpose of overcoming the barriers of cultural backgrounds and verbal communication, and to present traditional Chinese art and culture in foreign countries, so that the market for Chinese art products and Chinese cultural influence can be expanded. In order to carry Chinese theatre art into the world and to take a particular share on the global market, it is mandatory, wherever it is possible, to renounce local content and instead, for an international guest tour, select such plays from the repertoire which are internationally influential and popular. When xiqu adopts and performs ancient Greek classics, which are long since restricted to the text form, it will transform them on today’s stages into a living art. This fusion has a much bigger chance of succeeding on the market than it would if we presented to foreign spectators our own works of art unmediated, because with regard to the cultural background, the action, the worldview, etc., they [Greek tragedies] are more accessible to them. In addition, there is the curiosity [of the foreign spectator] and the aesthetic expectation towards a foreign art. On the other hand, Xu not only mentions the argument of the international market, which includes profiting from the West’s exoticizing gaze; he also believes that such “meaningful adaptations” will enable a productive encounter between Chinese and Western culture, for they would provide “new nourishment … from the cultural roots of the West,” so that a new Chinese culture and art form could evolve. As this example shows, the innovations brought about by such kind of performances are not so much praised for their aesthetic achievements. Rather, the aesthetic achievements are regarded as a vehicle to sell Chinese culture to the world. Cf. J. R. Brandon, “Contemporary Japanese Theatre: Interculturalism and Intraculturalism,” in E. Fischer-Lichte, M. Gissenwehrer, and J. Riley (eds. ), The Dramatic Touch of Difference: Theatre, Own and Foreign, Tübingen: Gunter Narr Verlag, 1990, 89–98. Cf. C. Mackerras (ed. ), Chinese Theater: From Its Origins to the Present Day, Honolulu: U of Hawai’i P, 1983. Cf. V. Dalmia, Poetics, Plays and Performances: The Politics of Modern Indian Theatre, Delhi: Oxford UP, 2006. Cf. J. Fiebach, Die Toten als die Macht der Lebenden: zur Theorie und Geschichte von Theater in Afrika, Wilhelmshaven: Heinrichshofen, 1986; B. Jeyifo, The Yoruba Popular Travelling Theatre of Nigeria, Lagos: Department of Culture, Federal Ministry of Social Development, Youth, Sports and Culture, 1984. O. Okagbue, African Theatres and Performances, London: Routledge, 2008. Cf. H. Ramthun (ed. ), Bertolt-Brecht-Archiv, Bestandsverzeichnis des literarischen Nachlasses, 2 vols., Berlin: Aufbau-Verlag, 1969/70, 158/44 (my translation); see also E. Fischer-Lichte, “The Reception of Japanese Theatre by the European Avant-Garde (1900–1930),” in S. Scholz-Cionca and S. L. Leiter (eds. 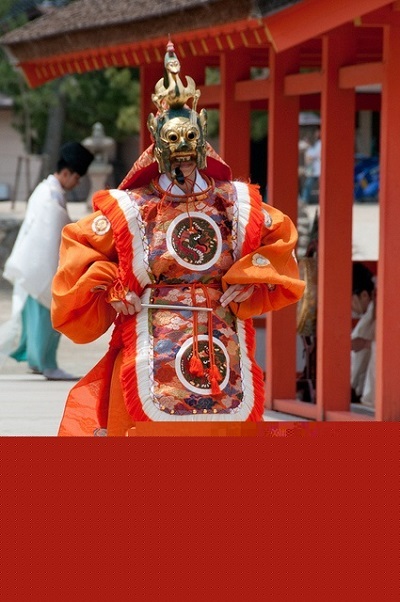 ), Japanese Theatre and the International Stage, Leiden: Brill, 2001, 27–42. Cf. E. Fischer-Lichte, “Introduction,” in E. Fischer-Lichte, B. Gronau and C. Weiler (eds. ), Global Ibsen: Performing Multiple Modernities, New York: Routledge, 2011, 1–16. Introduction to The Politics of Interweaving Performance Cultures: Beyond Postcolonialism, ed. with T. Jost and S. Jain, Routledge: London and New York 2014. Zhang Yan-Yin 2003, “The success and cultural importance of the Medea performance: Summary of the symposium on Medea of the Hebei Bangzi Company from Beijing”, Journal of College of Chinese Traditional Opera 24 (2): 53, cited in Kuan-wu Lin, Westlicher Geist im östlichen Körper? ‘Medea’ im interkulturellen Theater Chinas und Taiwans. Zum Universalismus der griechischen Antike, Bielefeld: Transcript 2010: 259. Xu Shi-pei, “The approach of the Hebei Bangzi ’Medea’“, Zhongguo Wenhuabao [Chinese Cultural Journal], January 23, 2016, cited in Lin 2010: 260 (s. footnote 10). Li Jin-yuan, “Cosmopolitans love Chinese theatre art”, Da Wutai [The Great Stage] 1998 (3): 57, cited in Lin 2010: 261 (s. footnote 10). Xu 2003; cited in Lin 2010: 262-3 (s. footnote 10). 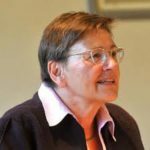 *Professor Dr. Dr. h.c. Erika Fischer-Lichte is director of the Institute for Advanced Studies on “Interweaving Performance Cultures“ at Freie Universität Berlin. She had guest professorships in China, India, Japan, Norway, Russia, and the USA. She has published widely in the fields of aesthetics, history and theory of theatre, performativity etc.